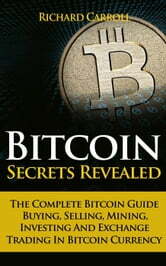 This book contains information on how to use Bitcoins and what are the possible ways it can be used as digital money. The Internet has vast connections that can also create irreversible algorithms. Therefore, it is possible to have a crypto-currency such as Bitcoin, to be treated as paper money online that can be transferred from one person to another with transaction fees as little as possible. There are many advantages and disadvantages behind on using Bitcoins but it also has a lot of room for improvement. 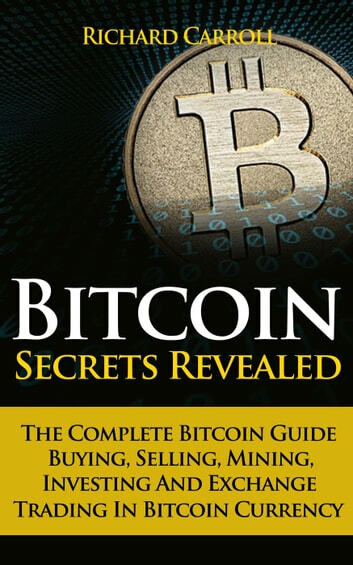 This eBook also tackles about Bitcoin mining and how it can be done. There are twelve million Bitcoins worth billions of dollars that are available now with the remaining nine million Bitcoins yet to be discovered. The fact that Bitcoins are secured and volatile, it would be hard for Satoshi Nakamoto’s invention to die out shortly. Bitcoin is the first decentralized peer-to-peer payment network that allows users to buy, sell or trade money online without the use of a payment processor or middleman. It is digital money with its own value that may increase, decrease or remain unchanged just like gold. In 1998, Bitcoin was introduced by Wei Dai with an idea of creating an online currency as a new form of money that uses cryptography for controlling its transactions and creations. Satoshi Nakamoto released its first proof of concept and blueprint in 2009 but he left the project in 2010. Many people had considered Nakamoto as Bitcoin’s inventor but there were many speculations surrounding his anonymity including the open source nature of Bitcoin. Bitcoin’s source code has been open for many developers; hence, Nakamoto’s limited authority concludes that he didn’t have any control on Bitcoin or any intention to control it to maintain its purpose as a decentralized network based from his whitepaper. Despite the fact he left the project, Bitcoin is being improved continuously by numerous developers while its community kept on increasing. Bitcoin can be compared to paper money except for the fact that it doesn’t have a central authority like a government which controls the amount of bills to be printed and distributed. Bitcoins are technically controlled by its users in terms of creating, buying and selling. Bitcoin is a type of a crypto-currency, which means it has a protocol that creates unique pieces of digital property through cryptography. Its users do not have to include their private information that’s why Bitcoin can be used anonymously. However, it can also be considered as pseudonymous because it contains encrypted information of an unknown person like a pseudonym. It would be hard to track a Bitcoin’s origin because its encrypted information changes every time it is being transferred from person to person. Therefore, this irreversible structure of Bitcoins increases the security of a transaction with its concerned parties well-protected and concealed. How to become very rich with Clickbank ? Blockchain "Unwrapped for non techies"